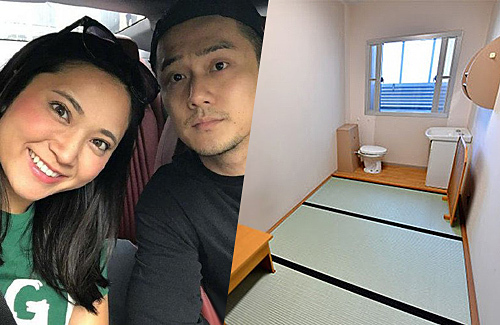 After Jiang Jinfu (蒋劲夫) publicly admitted and apologized for hitting his 25-year-old girlfriend, Haruka Nakaura, the 27-year-old actor fully cooperated with the Japanese law enforcement to assist with the investigation and pleaded guilty to the charges. Due to Jinfu’s celebrity status, Jinfu has his own individual space inside a Tokyo detention facility. He will be detained for at least 10 days, while the prosecutors decide on the charges. In the detention center, Jingfu is assigned to a very simple and small house. Jinfu would have to get used to living in a small space as the size of his house is only 54 square feet. In the detention center, Jinfu will follow strict rules, including waking up at 6 a.m. daily and having his three meals strictly controlled. Jinfu is allowed to leave the facility once a week to buy food and other basic necessities. According to reports, Jinfu declined to provide a motive for his actions. However, if Jinfu reaches a settlement directly with Haruka, it is highly likely that he would not be prosecuted and can be released early.